[prMac.com] Xi'an, China - G-Power Team is proud to announce the release of Piczoo 3.0.0, a comprehensive update of the original Image Sizer app for iOS and Android devices. 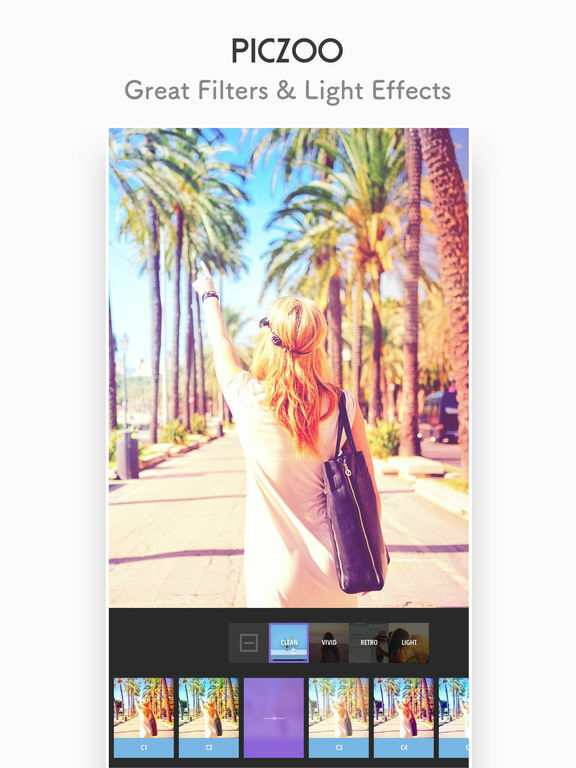 Piczoo offers a whole new design in minimalist style with a better user interactive experience. You will find the app easy and fun to use. Never worry about your photo being plain or boring, you can use filter effects to enhance it, add texts and stickers to decorate it. Make your photos outstanding and unique when sharing out to Facebook, Instagram, Twitter etc. Piczoo has the most convenient Photo Collage & Layout tool, have your photo collage done by very few taps. Modify collage layout manually and freely, support different aspect ratio and perfect fit Instagram post, also it has various patterns and colors for collage borders. "More than an update, this is a brand new app, packed with new features, dressed in a fresh new design. Piczoo 3.0 brings a richer editing experience, and offers a new portal to your digital memories." says Eric Ge, of the G-Power Team. Piczoo 3.0.0 is Free (with in-app purchases) and available worldwide through the App Store in the Photo & Video category. There is also an Android version available on Google Play. Founded in 2012, G-Power Team is committed to develop image processing and photo editing mobile apps. We aimed to let every user has the chance to be an artist, record, pass on and share their beautiful moments via our apps. Copyright (C) 2016 G-Power. All Rights Reserved. Apple, the Apple logo, iPhone, and iPod are registered trademarks of Apple Inc. in the U.S. and/or other countries. Other trademarks and registered trademarks may be the property of their respective owners.